Does My Child Need Gum Disease Treatment in Colorado Springs? 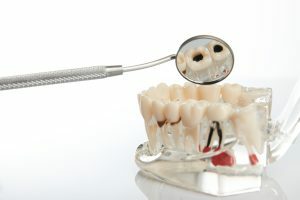 Periodontitis (gum) disease only affects older people, right? It couldn’t possibly develop in my child! Your local dentist says that contrary to popular belief, from the moment your child starts eating solid foods, he or she is susceptible to the bacteria that cause tooth decay and gum disease. So this is something that should not be taken lightly or dismissed as a disease that only elderly people suffer from. As you continue reading, you’ll learn more about ways to address this problem with gum disease treatment in Colorado Springs and ways to prevent the condition from developing. Periodontal disease stems from the growth of bacteria in your mouth. As previously stated, these critters have been present since your child started eating solid food, which means that he or she could be at risk of developing this condition. The trouble begins when over 300 types of bacteria gather to form plaque, a sticky substance that clings to the teeth and gums and releases caustic acids. As the plaque embeds itself, it causes infection and irritation of your gums, the first sign of which is usually tissue that easily bleeds when your child brushes his or her teeth. The disease develops in stages. Depending on which one your child is in, your periodontist in Colorado Springs will develop a protocol to address it. Scaling and Root Planing – This method of treatment involves your dentist pulling back the gums to expose the roots of the teeth. He will then remove the plaque underneath and smooth out the surface of the roots. Antibiotics – Your dentist may choose to use a topical antibiotic gel or ointment that is applied directly to the gums. He can also prescribe a medicated mouthwash to be used to stop the growth of the bacteria. Surgery – In more severe cases, surgery may be required, where your dentist makes an incision into the gums to expose the diseased pockets so that he can clean them. Gingivitis Grafting – A final measure that can be taken is severe cases, is to graft tissue from another portion of the mouth to replace diseased tissue that can’t be salvaged. Maintaining regular visits for cleanings and checkups is vital. When you’re taking your child to the dentist on a regular basis, there’s no way that gum disease will progress to the dangerous levels mentioned above. Your ability to teach and impress upon your child the importance of proper and consistent oral hygiene, will also make a huge difference in eradicating bacteria. These cornerstones activities are brushing and flossing at least two times a day. So although gum disease doesn’t discriminate, attacking all ages, it’s nothing to be intimidated by. You have the power to lead your family down the road to oral excellence, and it starts by contacting your local dentist to schedule an appointment today. Dr. Karl Lackler is a Diplomate of the American Board of Periodontics and an affiliate of the American Academy of Periodontology. He earned his Master of Science in Periodontics, rating in the top three percent of the National Periodontal Board Exam. Dr. Lackler practices at Rocky Mountain Periodontal Specialists and can be reached for more information through his website. Comments Off on Does My Child Need Gum Disease Treatment in Colorado Springs?